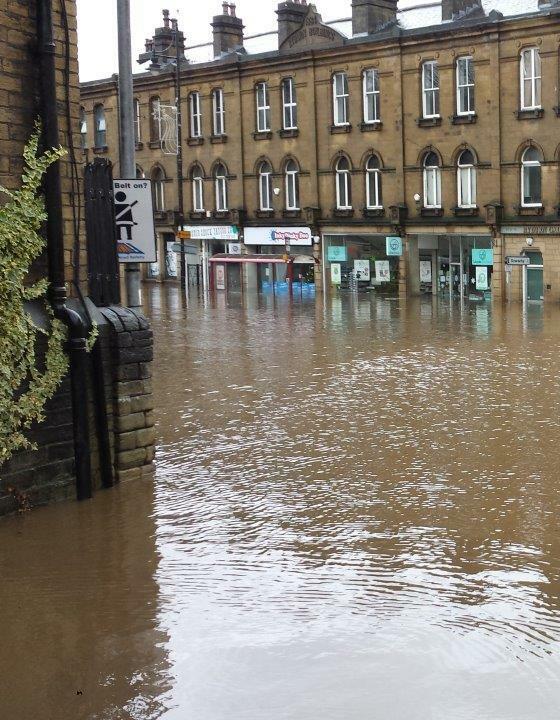 Calderdale was one of the worst hit areas of the country following the Boxing Day 2015 floods caused by Storm Eva. The event caused widespread flooding with 4,500 properties (3,000 homes and 1,500 businesses) affected across the council area. Before Storm Eva, the Calder valley had suffered flooding over many years. Because of the nature of the catchment, with its rapidly responding steep valley sides and towns crammed into the valley bottom, flood risk cannot be eliminated. However, three years after the Boxing Day 2015 flood, the management of flood risk in the area has a clearer focus and the local council have more resources to tackle the problems. 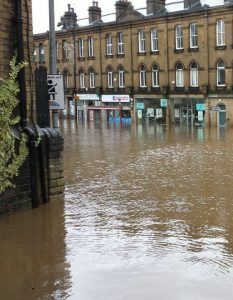 In response to the Boxing Day 2015 floods, Mark Bentley, Technical Director and Flood Risk Assessment expert, was seconded into Calderdale Metropolitan Borough Council (CMBC) as Acting Flood Risk Manager to help develop their Local Flood Risk Management Strategy (LFRMS). The Calder Valley has a strong community ethos and public meetings were held in each town along the Calder valley to gain the views of local residents and businesses. The local flood action groups which provide significant support during floods were also involved. The work gave a great insight into the responsibility local authorities have discharging care to their communities. Following extensive consultation, a draft LFRMS was developed within three months. Various departments in CMBC (drainage, planning, highways and emergency planning), along with other Risk Management Authorities (RMAs) such as the Environment Agency and Yorkshire Water, and other stakeholders (Network Rail, the Canal and Rivers Trust, Northern Power Grid) were involved in this process. Improving preparedness for flood events: better flood warning and communication measures. Improving upland catchment management because a quarter of the Calder catchment drains through reservoirs which could be used to reduce runoff during events. Gaining the political support of CMBC’s councillors. Mark’s secondment lasted for six months and concluded following the appointment of a permanent Flood Risk Manager at CMBC. The new post holder is now overseeing the implementation of the LFRMS but doing so with a larger team of engineers than was available three years’ ago. Email Mark Bentley for more information on the Calder Valley Flood Risk Management Strategy. You can also find out more on our flood risk management web pages.